Dr. YUSUF AL-QARDAWI is a prominent Muslims scholar who has devoted his life to the cause of Islam. Born in Egypt, he was educated at al-Azhar University in Cairo, the most distinguished institution of Islamic learning in the world. Dr. Al-qaradawi’s contributions to the field o Islamic scholarship are noteworthy. He is the author of numerous books, some of which have been translated into Turkish, Persian, Urdu, and Indonesian. He is also a poet who is well-known for his distinctive style. The General Institute of Islamic Culture of al-Azhar University has requested me to participate in an academic project of writing easily understandable books or pamphlets which, when translated into the English language, would introduce Islam and its teachings to Europe and America, educating the Muslims who reside there and attracting the non-Muslims toward Islam. If this is the state of the Muslims, what can be said of the non- Muslims? People in the West have a very distorted and ugly picture of Islam, its Prophet (may Allah's peace and blessings be on him), and its followers, a picture painted by Christian missionaries and the representatives of the imperialist powers. They have used all means of propaganda at their disposal to malign Islam and to prejudice the minds of people against it, while we, at the same time, have been heedless and neglectful of combating this malicious propaganda. It is indeed high time to launch an educational project in order to remedy this situation, to inform people about the truth of Islam, and to invite them toward it. We welcome this blessed step, commending these devoted people of al-Azhar; we request them to redouble their efforts in this direction, and pray to Allah to bless and help them always. The Institute of Islamic Culture assigned me the task of writing on the subject of the lawful (al-halal) and the prohibited (al-haram) in Islam, requesting that I present the subject in a simple and easily understandable manner which was also to include a comparison with other religions and cultures. At first glance the subject of the lawful and the prohibited may seem easy to write about, but it is, in fact, extremely difficult. No previous author, either early or modern, has compiled a book dealing specifically with this topic. The student will find material pertaining to this subject scattered throughout various chapters in books on Islamic jurisprudence (fiqh), and between the lines in the commentaries on the Qur'an and in books of the Prophet's ahadith. Such a subject, moreover, compels the writer to be definitive concerning many matters about which earlier scholars have differed and contemporary scholars are confused. Consequently, to prefer one opinion over another in matters relating to the halal and the haram in Islam requires patience, thoroughness in research, and intellectual exertion on the part of the researcher - all this after he has purified his heart from all desires except to please Allah Subhanahu wa Ta'ala and to seek the truth. It is my observation that most contemporary researchers and writers about Islam fall into one of two groups. The vision of one group has been blinded by the glamor of Western civilization. Overawed by this great idol, they worship it, approach it imploringly, and stand before it humbly, with downcast eyes, accepting Western principles and customs as unassailable and proven beyond doubt. Accordingly, if some aspect of Islam agrees with these principles and customs, they praise and extol it, while if some aspect opposes them, they try to find similarities and agreements, offer excuses and apologies, or resort to far fetched explanations and distortions, as if Islam had no choice except to surrender to the philosophy and customs of Western civilization. 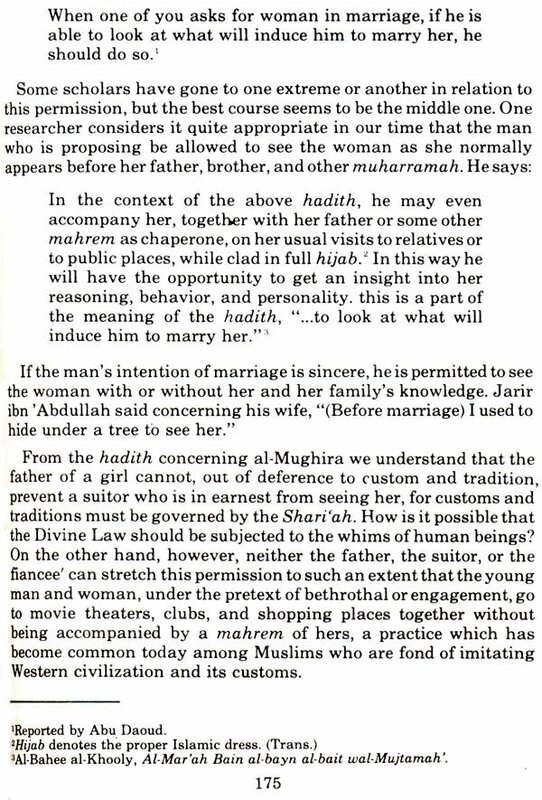 When we examine their views, we find that they permit things which Islam has prohibited, such as statues, lotteries, interest, being in privacy with a non-mahrem woman, a man's wearing gold and silk, and so on. 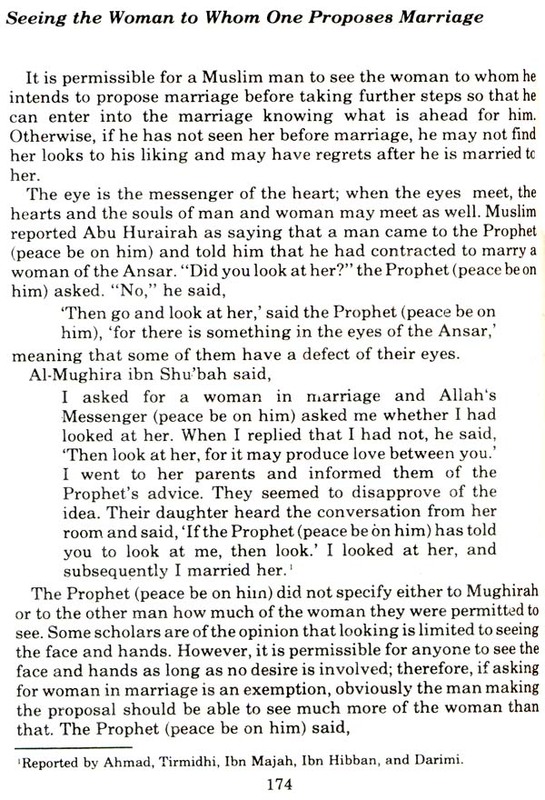 They frown upon things which Islam h88 permitted, such as divorce and plurality of wives, as if, in their view, whatever is legal in the West is halal and what is illegal is haram. They forget that Islam is the word of Allah and that His word is always uppermost. Islam came to be followed, not to follow; to be dominant, not subordinate. How can the Lord of men follow men and how can the Creator submit to the whims of His creatures? The other group is frozen in its fixed opinions concerning questions about the halal and the haram, following a statement in a text which they assume to be Islam. They do not budge a hair's breadth from their position, nor do they try to weigh their opinion against the arguments of others, and to arrive at the truth after a comparison and critical evaluation of all opinions. If one of them were to be asked his opinion concerning music, singing, chess, women's education, a woman's showing her face and hands, and similar matters, the most likely word to issue from his tongue would be Haram. This group has forgotten the caution exercised by our righteous forebearers in such matters, who never applied the word haram to anything unless they knew it to be definitely prohibited. If there were the slightest doubt concerning the matter they would only say, "We disapprove of it" or "We do not like it," or some other similarly mild statement. I have endeavored not to be in either ofthese two groups. I cannot compromise my religion by taking the West as my god after accepting Allah as the Lord, Islam as the religion, and Muhammad (peace be on him) as the Messenger. At the same time, I cannot compromise my intellect by following one particular school of jurisprudence in all its judgements, whether right or wrong, suspending my own faculty of reasoning and discernment. "A blind follower," in the words of Ibn al-Jawzi, "does not have any trust in what he follows. To imitate is to suspend the use of the intellect, whereas the intellect is created for thinking and reasoning. It is stupidity when a person is given a light to show him the way, he should extinguish it and walk in darkness." This is why I have not confined myself to anyone of the several schools of jurisprudence (madhahib, singular madhab) prevalent in the Islamic world, for the truth is not the monopoly of anyone school. The leading scholars of these schools never claimed that they were infallible; they were, in fact, researchers who sought to know the truth. If they erred in a ruling they will have a reward, while if they were correct, their reward will be twice as great. Said Imam Malik, "The word of any person other than the Prophet (peace be on him) is sometimes accepted and sometimes rejected." And Imam Shafi'i commented, "My opinion is correct with the possibility of its being in error. An opinion different from mine is in error with the possibility of its being correct." While it is not worthy of a Muslim scholar who is capable of comparing and choosing to tie himself to a single school of jurisprudence or to submit to the opinion of a particular jurist, he must give weight to arguments and proofs. The jurist with strong arguments and a valid proof deserves to be followed, while the one with weak arguments and incorrect proofs should be rejected, regardless of who he is. On this point, Imam 'Ali says, "Truth is not to be learned on the basis of authorities. Learn the truth and then you will know who the truthful ones are." I have tried, to the best of my ability, to follow the guidelines of the Institute of Islamic Culture. Thus I have presented the materiel supported by arguments, proofs, and comparisons, utilizing the latest scientific ideas and contemporary knowledge. Alhamdulillah, Islam is like the radiant sun, whose light bears the proof that it is an eternal religion for all mankind. The concept of the lawful and the prohibited has been known to every people since ancient times. However, people have differed in defining the scope, variety, and causes of taboos and prohibitions, most of which were a product of their primitive beliefs, superstititions, and myths. Then came the divinely-revealed religions,' with their laws and injunctions concerning the halal and the haram, uplifting the human being from the level of superstition, myth, and tribalism to the level of dignity which befits a human being. The Islamic view of the halal and the haram is very simple and clear. It is a part of that great trust which Allah offered to the heavens, the earth, and the mountains, which they declined but which man accepted. This trust requires man to carry out the duties placed on him by Allah as His viceregent on earth and to assume accountability concerning them. This responsibility is the basis on which the human individual will be judged by Allah and given his reward or punishment. Because of this trust, Allah gave man intellect, will power, and freedom of choice; because of this, He sent His messengers and revealed His Books. It is not for man to ask, "Why is there halal and haram? Why am I not left free to do as I please?" for this is precisely the test of his freedom of choice and action. Moreover, man is neither a purely spiritual being like the angels nor simply a creature of instinct like the animals. Rather he occupies a position between the two: he can attain or even surpass the spiritual heights of the angels, or he can sink to the level of the beasts, or even lower. 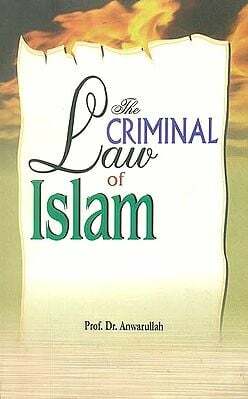 From another perspective, the halal and haram are part of the total legal system of Islam, its Shari'ah, a system whose primary objective is the good of mankind. The Islamic Shari'ah, removes from human beings harmful, burdensome customs and superstitions, aiming to simplify and ease the business of day-to- day living. Its principles are designed to protect man from evil and to benefit him in all aspects of his life. And they are designed to benefit everyone in the community - the rich and the poor, the rulers and the ruled, the men and the women - as well as to benefit the whole of humanity throughout the earth in various countries and climes, with its multitude of groupings, and in every period of time throughout succeeding generations. "I am a merciful gift". In view of the fact that the halal and haram constitute such an important subject, I believe that this book, in spite of its modest size, will fill a gap in the library of the contemporary Muslim; that it will solve many problems which he faces in his personal, family, and social life; and that it will answer many questions of this kind: What is permitted to me? What is prohibited to me? And what is the reason for permitting this and prohibiting that? In bringing this introduction to a close, I would like to express my thanks to the scholars of al-Azhar and the Institute of Islamic Culture for placing their trust in me to deal with such a vital subject. I hope I have proved worthy of their trust and have achieved their objective. I pray to Allah Subhanahu wa Ta'ala to benefit those people who read this book, to give us truthfulness in what we say and do, to keep our thoughts and our pens from abberations, and to guide us in all our affairs. It is He alone Who listens to supplications.